Motherhood has many challenges, but nothing is more challenging for a mom than taking care of a sick child. Between the over-packed schedules and playdates, sticky messes and scraped knees, late nights and early morning wakeup calls, there’s barely enough of me to make it through the day. And then put a sick kid in the mix, well that's when things really hit the fan! Nothing is worse than seeing your child suffer or turn lethargic and zombie-like. I sometimes wish all moms could come with a magic wand that can make any ailments disappear. But let’s be real – I would also want it so it could also save me from some not-so-pleasant situations. As distressing as that was, moms know that sometimes they’ll be sneezed on, coughed at, or in my case, puked on, and we simply don’t care. We’ll be there to snuggle with them, rub their bellies, and make them feel better, because at the end of the day taking care of child is the most important job we’ll ever have. As part of their ‘Sick just got real’ ™ campaign the pediatric brands of Pfizer Consumer Healthcare have released a funny but very relatable video depicting a small glimpse of what moms may feel and experience when their child is under the weather. Watch it below and tell me you can’t relate? That’s not all! 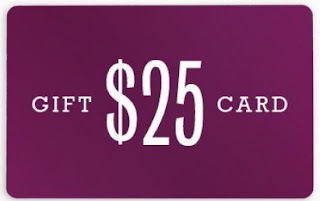 Pfizer Consumer Healthcare is graciously giving one my readers a $25 gift card to pamper themselves because sometimes sick hits the fan and our needs come last. All you have to do is enter through the Rafflecopter widget below. Good luck! Disclosure: The video and gift card have been provided by Pfizer Consumer Healthcare. All thoughts and reviews are my own. I would go to lunch with a friend. I would pamper myself my getting a pedicure and going out to Dinner with my best friend! I would pamper myself with a massage. I would love a new pair of shoes. I enjoy pampering myself by getting my nails done. I would pamper myself by getting my nails done which I never ever do! I would get my hair cut! I would save it to celebrate when my family is visiting. I'd buy stuff for an at home bath evening! a book, epsom salt, face mask. the works! I would pamper myself with a new lip stain! Oh I would love to go and get a haircut! Something different...have not done that in awhile and would love to get a new hair style! A day at the spa is always an affordable way to pamper myself. I would pamper myself by buying some comfort food & a nice candle. I'm very simple and not hard to please and that's my perfect idea of pampering! I would pamper myself by getting a Pedicure. I would love a facial! I would buy some good food and get a massage. Was just introduced by Stacie and I like what I have read, so I will be back to read more. I would go shopping for something I've had my eye on to pamper myself.